A prudent exposure to the small cap and mid cap segment of biotech stocks can benefit from M&A related valuation expansion. When the market experiences rain, biotechs experience a thunderstorm. That's how volatility relates to biotechnology - one of the most promising and nerve-wracking industries in the stock market. As the market succumbed last week to the drumbeat of a tariff war, volatility spiked and the broader market indexes, S&P 500 (SPY), Nasdaq Composite (QQQ), Dow Jones (DIA), and the Russell 2000 (IWM), declined 1-2%. During this risk-off period, key biotech benchmarks, the Nasdaq Biotechnology Index (IBB) and the S&P Biotech Select Index (XBI), plunged 5%. 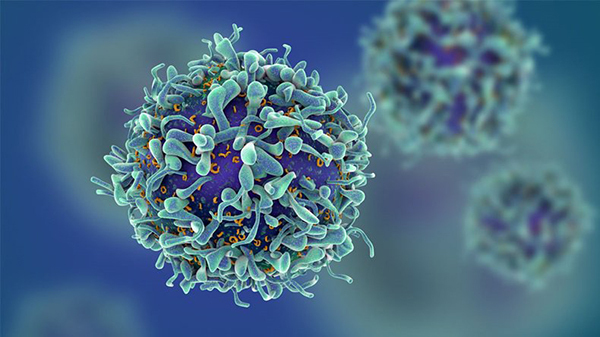 Furthermore, last week failure of a highly anticipated Phase III trial of a immuno-oncology combination of Incyte's (INCY) Epacadostat drug, an IDO protein inhibitor, with Merck's (MRK) blockbuster drug, Keytruda, a PD-1 checkpoint inhibitor, cast a pall of gloom over the IDO sector in particular and biotechs in general, further adding to the sector's weekly woes. This week has started off on a positive note, as trade-related saber-rattling between US and China appears to have reached a near-term detente. The issue is not over yet, but not elevating any further itself is a positive. Biotech stocks appear to have suffered over the past two weeks mostly due to the market correction. With the broader market becoming more challenging in 2018, relative to last year, risk-flight will remain an ongoing systemic risk that biotechs will remain exposed to. Unfortunately, such broader systemic risk only grows further as the possibility of a political crisis, resumption of trade conflicts, a resurfacing of the North Korean nuclear issue, and the Syrian quagmire, remain as potential flashpoints. The primary market trend still points upward, due to economic and earnings growth, and a relatively benign interest rate environment even now. The fundamentals favoring the biotechnology sector, discussed in great detail in the Biotech Bonanza article, have continued to strengthen. Recent biotech weakness is more systemic than biotech-driven. In our earlier posting, Biotechs Approaching New Waters, we had discussed one of the key reasons for optimism to be the rapid pace of progress in biotech science. Today, we once again remind readers of another reason - M&A. As tariff-tension begin to ease this week, and market fundamentals had a chance to exert themselves, the broader market including biotechs responded positively. In addition, biotechnology was further boosted by a unique favorable factor - industry M&A - that contributed to a surge of 5-7% in the biotech benchmarks as of mid-point of this week. Pharmaceutical giant Novartis (NVS) swooped up Avexis (AVXS) at a nearly 90% premium in an all-cash $9 billion transaction, triggered by the Swiss company's desire to acquire a leading and late-stage gene therapy development program for spinal muscular atrophy ((SMA)). The substantial size of the acquisition premium from a conservative Swiss company shows the stakes are rising for the pharmaceutical companies as new treatments are recasting the opportunities to overcome serious diseases and upending entrenched franchises. The rapid pace of scientific evolution, discussed in the last article, is pushing larger pharmaceuticals to become more aggressive in acquiring a portfolio of innovative and emerging treatments, to remain at the forefront of new cellular and gene therapies. And such activity is only picking up momentum. The acquisition by Novartis fired a shot across the bow of Biogen (BIIB) and its SMA blockbuster treatment, Spinraza, further intensifying the pressure on Biogen to do its own acquisitions to shore up its key drug franchises and derisk some of the other high-risk programs, including Alzheimer's. The Novartis deal for Avexis has set a high value for gene therapy assets and enhances valuations of gene therapy smallcap and midcap companies. Additionally, investment sentiment received a boost when the Financial Times reported over the weekend that Celgene is once again on the prowl for more acquisitions to strengthen its product portfolio. Celgene remains under intense pressure to pursue transactions, as it faces a significant patent cliff with the loss of protection on Revlimid, and was also dealt a recent setback when its multiple sclerosis drug, Ozanimod, was refused a review by the FDA. 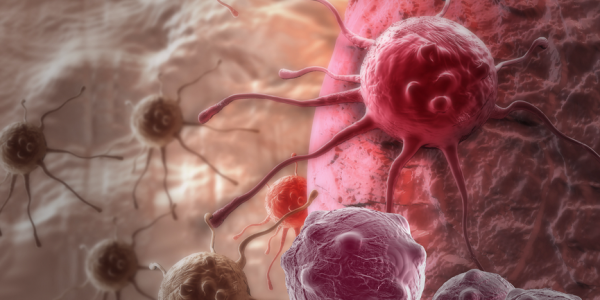 Two companies of interest for Celgene, as mentioned in the report, include Agios Pharmaceuticals (AGIO) and Jounce Therapeutics (JNCE), both of which have existing partnerships with and investments from Celgene. However, Celgene has deep pockets to execute transactions, and a broad portfolio of strategic interests, which covers many therapeutic areas. Celgene is not alone in looking for further acquisitions. 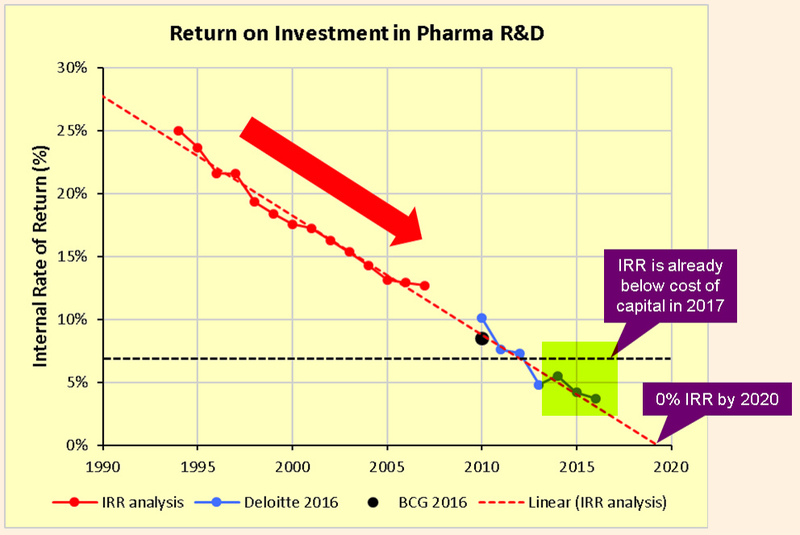 There is pressure on big pharma to pursue innovation through M&A as they struggle with their own drug development model where the Internal Rate of Return ((IRR)) on the significant R&D expenditures continues to decline steadily, as pointed out in The Era Of Biotechs section in our article in February. As industry dynamics are compelling the pharmaceutical companies to pursue pipeline building acquisitions, their ability to execute strategic business development continues to get even better. And that combination will continue to fuel transactions. The biotech industry remains appealing to investors as evidenced by the surging number of IPOs and venture cap financings. Easy access to financing, along with a cash surge, potentially in the tens of billions of dollars, from repatriation of offshore holdings due to lower tax repatriation rates, provides growing transaction flexibility to large pharma and biotechs. Biotech M&A is already shifting into a higher gear. The first quarter of 2017 has been one of the best quarters from a biotech and pharma M&A perspective, with nearly $47 billion of transactions. Although there was not a single major pharma merger, which makes the high total deal value of $47 billion even more remarkable, there were a couple of notable ones, which included Celgene's acquisition of Juno Therapeutics for $9 billion, and Sanofi (SNY) acquiring Bioverativ for nearly $12 billion. The chart below from EvaluatePharma shows the M&A activity over the past five years. Interestingly, much of the M&A action in the first quarter was in the smallcap and midcap segments of the market. This quarter may see the action expand to possibly include a megamerger, which is characterized as a deal above $20 billion. Takeda Pharmaceuticals interest in a bid for Shire Pharmaceuticals has already been disclosed, and if that transaction materializes it can be upwards of $50 billion. Of course, Pfizer (PFE), the largest pharmaceutical with the balance sheet and a taste for megamergers, has been largely inactive since its $14 billion Medivation acquisition in 2016. The Company was earlier waiting for tax policy clarity before making strategic transactions, as per CEO Ian Read. It'll be hard to believe that Pfizer will exit this year without executing a major deal and a few smaller ones. In the past, Bristol Myers (BMY) has been rumored as a potential target for Pfizer. On the small cap side, Esperion Therapeutics (ESPR) with its Bempedoic Acid cholesterol-lowering drug may become one of the targets for the company of Lipitor fame. Interestingly, Esperion was created in a sort of spin-off from Pfizer. Biotech stocks are highly volatile and the volatility cannot be avoided, as reminded by the recent pullback associated with tariff tensions. However, the volatility can be managed to some extent through appropriate diversification and portfolio positioning to take advantage when the uptrend resumes. Furthermore, biotech portfolios require an ongoing process of refreshing as data releases are fairly binary and often times quite indicative of the prospects for future investment returns. However, the opportunity in biotechs to deliver outsized returns remains real, and a measure of portfolio exposure to the high-risk and high-reward biotech sector can be a rewarding strategy for appropriate risk-oriented investors. As of April 1, the biotech benchmarks were neutral to slightly higher for the year, similar to the first quarter performance of broader indexes like the S&P 500 and Nasdaq. The Prudent Biotech Portfolio was up +19% for the same first quarter period. Identifying acquisition targets can be difficult and often doesn't yield the expected results. Nonetheless, it may be quite interesting and perhaps helpful to post thoughts on M&A ideas in the Comments section below. A reasonable investing exposure to the smallcap and midcap biotech companies would enhance chances of participating in the overall M&A related valuation bump that the sector will continue to experience. A few of the promising companies, mostly in the small cap and mid cap space, include Vertex Pharmaceuticals (VRTX), Nektar Therapeutics (NKTR), Sage Therapeutics (SAGE), BeiGene (BGNE), Blueprint Medicine (BPMC), Agio Pharmaceuticals (AGIO), Zogenix (ZGNX), Sarepta Therapeutics (SRPT), Supernus Pharmaceuticals (SUPN), Loxo Oncology (LOXO), Crispr Therapeutics (CRSP), Esperion Therapeutics (ESPR), Heron Therapeutics, (HRTX) Cymabay Therapeutics (CBAY), G1 Therapeutics (GTHX), Fate Therapeutics (FATE), Mirati Therapeutics (MRTX), Adaptimmune Therapeutics (ADAP), Endocyte (ECYT), Intrexon (XON), Uniqure (QURE), Dynavax (DVAX), T G Therapeutics (TGTX), Atara Biotherapeutics (ATRA), and Catalyst Biosciences (CBIO). As always, kindly do your own due diligence. The article was first published on Seeking Alpha.